I have another Mini Milk Carton creation for you. This will be cute on your Thanksgiving Table – fill with some treats for all the kids. I made this using the Big Shot – the Mini Milk carton die and Scallop Circle die. Some punches add details and he is done. I wrote a tutorial with pictures of each step – CLICK HERE. I am very thankful for all of my Stampin’ Friends and appreciate the comments you leave and encouragement you give to me. Thank you from the bottom of my heart! Have fun this weekend getting ready for your Thanksgiving gathering. This entry was posted in Big Shot, Thanksgiving and tagged Big Shot, Monika Davis, Stampin' Up!. Bookmark the permalink. I did make your wonderful turkey for everyone at my son’s group home and I love them! Thank you again for this great tutorial and for sharing this very creative little guy! I posted him on my blog today and gave a link to your blog. I love having new ideas for the milk carton die.. I’ve already made 2 and there will be more!! thanks so much!! What a great turkey. How clever and creative you are to come up with this. I have to make some! Thanks for sharing. This is wonderful! Thank you so much for the great tutorial – I am making these for all of the residents and staff at my son’s group home. They are going to love them! Wishing you a Happy Thanksgiving! now that’s awesome! thank you so much for sharing the tutorial. This will be on my punch inspiration blog post today. That is so stinkin cute! How creative. Absolutely adorable!! Can’t thank you enough for not only sharing but having so I just have to print it. You are the best! Thanks! So flippin cute!! And thank you for posting the directions!! I needed a cute hostess gift for my friend who is having us over for Thanksgiving. thanks for sharing your tutorial with us. 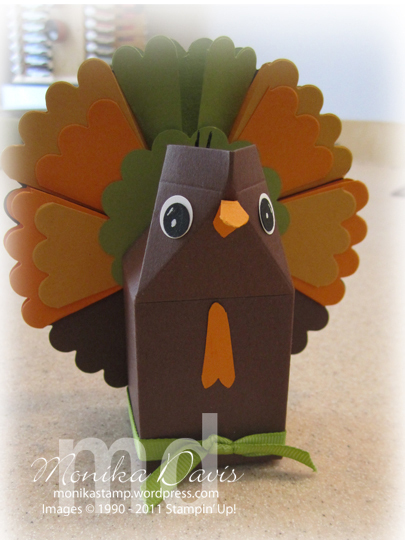 This turkey carton is adorable. Oh my! How cute is your turkey! I hope I have time to make one before next Thursday. Thanks so much for sharing.